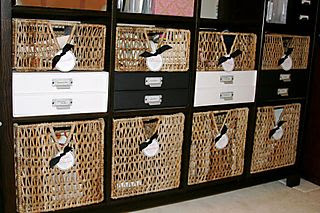 Jeannette has posted an entry in her blog on how to make the most of the Ikea units that have square comparments. Click here for full description and more photos. A little bit late, but over at Two peas they are doing a get organized month. 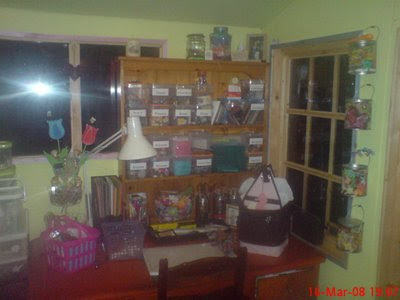 In their Garden Girls blog they have done interesting entries by Joanna - using a file storing cabinet- and Laura K -cork board and shelving unit-. 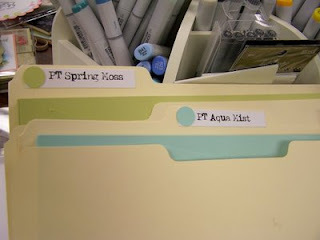 Patter Cross has a very good article on how to use a bin organizer to store papers, dies and more, Also Patter shows how to make it really pretty. You can find full instructions and photos here. (Scrap Jazz) and here (her personal blog). To begin I purchased one of these three drawer units from Michaels for around $10.00, a package of small black hair rubber bands and purchased a sheet of mat board which I cut down into pieces measuring 2.5" wide by 2" high. I decided on the matboard because I found cardboard bobbins you can purchase at the craft store to be too small and too flimsy. I divided the drawers into four sections by putting in three 13" pieces of matboard and anchoring them with tape. I rolled all my ribbon that were lengths of 5 yards and less onto the bobbins that I had cut. Now, just a warning, the rolling of the ribbon takes a little bit of time. I saved it by rolling when I was watching TV and even carried a small bag of ribbon and bobbins in the car to roll while I was waiting in the car or at the doctor office. 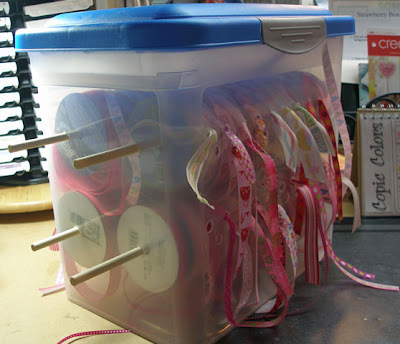 There are even more ideas on how to store ribbons. For the main page of her amazing blog click here. 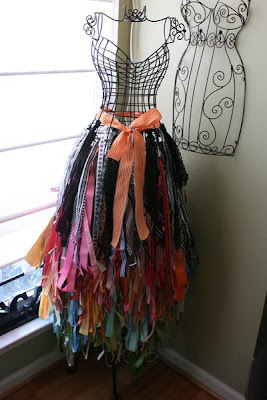 Not sure if everyone can afford space wise to store ribbon this way, but I still think it is a quite a pretty idea. 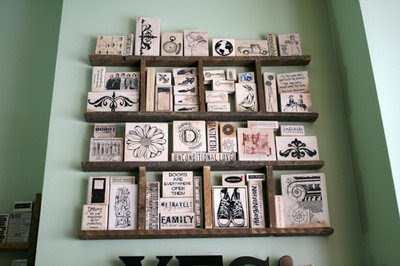 I love this idea for wall spaces where depth is the issue. To see more click here. For the main page of Donna Downey's website, click here. 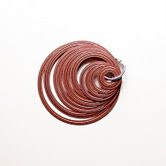 Karina simply attach it all to a book ring (each set has its own ring). Simple but A great idea to keep them together. You can see her Flickr gallery here. And Karina's website here. 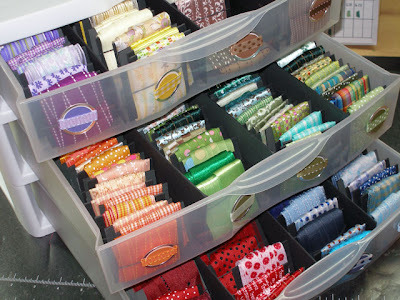 Michelle has posted an entry in her blog about ideas on how to store Papertrey stuff. Click here to see more photos and explanations. For the main page of her blog, click here.